I have a little secret. I don’t talk about it often, but I’m one of *those* women. The essential oil women. As I write this, I’m curled up with my dogs on the couch, I have my diffuser going with a little black spruce, some Thieves rubbed into my chest to help with immune support, and I even make my own facial oil (which by the way is better than any store bought facial oil I’ve tried). It’s a perfect way to embrace hygge, the season, and healthy living. 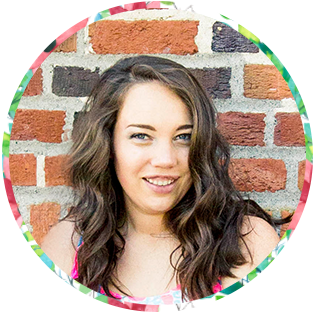 My girl, Tawni started sharing her love of essential oils, and if you need tips, tricks, and recipes, she’s your gal. One thing I love about this time of year is hygge. As it starts getting darker, and colder, I embrace the weather by enjoying the art of coziness. I started a series, Hygge Adventures, to chronicle those moments, events, and recipes! There is not much I love more than a hot, steaming cup of apple cider. Apple cider is phenomenal, but it takes hours to make it by scratch. It seems like everyone’s lives are so much busier these days, and while, I wish I had half a day to dedicate to making cider, that just isn’t my life right now. I think a lot of people are in that same boat. We want all the comforts of a wonderful fall, full of homemade things, cozy moments, and warm memories. But, I need it all to fit into my crazy hectic schedule. Last week, I shared on Instagram stories, about my crazy schedule, and how I hadn’t even had time to eat until after 5:00 pm one day. And, so many of you could relate! That isn’t healthy, but that is a problem to tackle another day. Today is about essential oils, hygge, and cider. This quick and easy essential oil cider recipe takes 10 minutes, if that. So, you don’t need a ton of time. If you have a fancy induction cooktop that boils water in 90 seconds, it will literally take you 90 seconds. Okay, that’s a lie, it will be more like 98 seconds with time added for pouring and trying not to spill. So, without further ado, I bring you my quick and easy essential oil cider recipe! Add unfiltered apple juice to a small pot. Add drops of essential oils, stir. Keep on heat until the cider just starts to bubble. Garnish with cinnamon sticks to make the cider especially fall-y. And, that’s all there is to it! Quick and easy essential oil cider!